Severus Snape, Horace Slughorn, Serius Black. Draco Malfoy, Marcus Flint, Pansy Parkinson. I HATE TONKS BECAUSE I PREFER REMUS ALONE OR WITH SIRIUS IN COUPLE. 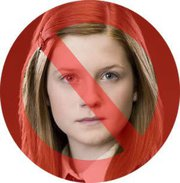 ANYTHING AND ANYONE IS BETTER THEN GINNY !!!!! I REALLY HATE HER !